Most of you reading this know I’m currently a high school principal and former counselor, teacher, and coach. This fall marks my 42nd year in education, and I’ve never really tired of it. Each day is interesting because whatever I had planned flies out the window on most days. But I happen to blend and somewhat blur the lines of genre in my writing because of my background with kids, especially because of my background in psychology and counseling. If I had to pick my main genre, I’d say crime thriller fiction. But because some of my favorite and more memorable characters are adolescents, I have elements of young adult in my writing. Basically, my ideas come from kids. I listen to them in hallways, in the cafeteria, sitting in the stands at games. I observe and listen and watch constantly. Robin Williams mentioned in an interview (and I’m paraphrasing, probably badly) that his mind never turned off. As I writer, neither does mine. Everything I see or hear is fair game! The first books I wrote, Taking Lives, Stolen Lives, Shattered Lives, and Splintered Lives were based upon my volunteer work with the Jacob Wetterling Foundation for Stranger Abducted and Sexually Exploited Youth. In fact, prequel to the trilogy, Taking Lives, is dedicated to Jacob Wetterling who at age 11 in October of 1989 was abducted at gunpoint in front of his brother, Trevor, and a best friend, Aaron, by a man wearing a mask as they were returning from a convenience store with a rented moving and candy. Jacob’s story is and was tragic, and only recently his remains were found after someone confessed to the crime. I wrote those books because I had wanted to give back, in a way, to tell the story of missing kids. The work is dark- but then again, why wouldn’t it be? The writing deals with the human trafficking of kids, boys. It’s a story many don’t want any part of, perhaps refusing to believe it happens. But, the writing was based upon my experience with the foundation, with kids I worked with as a counselor and the stories they told me, and of course, a ton of research into the topic of human trafficking. My newest novel, Caught in a Web, deals with kids dying from overdosing on heroin and fentanyl and MS-13, a vicious gang present in communities across the country. Once again, as a counselor, I worked with kids and families who had substance issues. In fact, there is one touching and tough scene where a husband and wife deal with the substance abuse of their seemingly All-American son. He had great grades. Was a successful athlete. But that scene works so well because of the conversation I had with the father of that young man. The gang element again stems from my counseling background. I worked in a school in Southern California that had three active gangs. I was a counselor to a young man who made the decision to “get jumped out” of the gang, and he almost didn’t survive. I think any writer worth his salt is a keen observer of life. His own life, the lives of others. The writer listens to conversations, watches the interactions of others, and constantly reads- especially in the genre in which he or she writes. As King stated, “The real importance of reading is that it creates an ease and intimacy with the process of writing; one comes to the country of the writer with one's papers and identification pretty much in order.” My belief is that if the writer doesn’t read, the writer never gains the tools needed for writing. Reading is to writing what weight-training is to the athlete. It’s that simple. 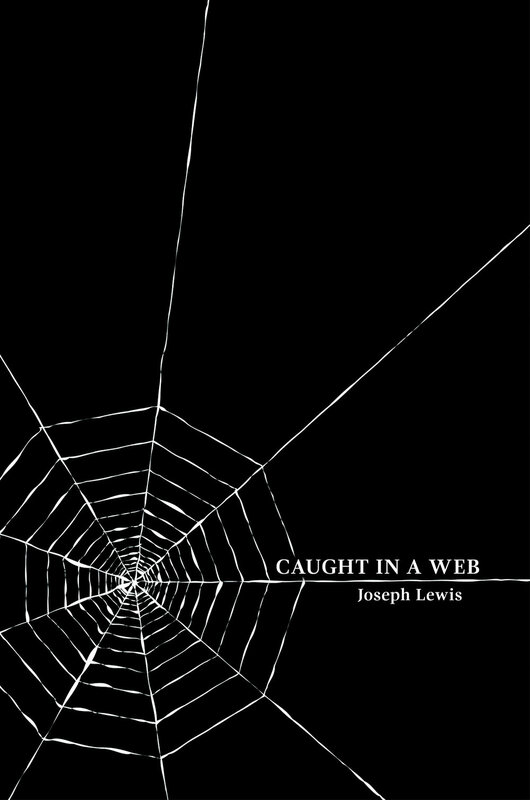 Caught in a Web is Joseph Lewis’s fifth book. He’s worked in the education field for 41 years as a teacher, coach, counselor and administrator. Lewis is currently a high school principal and resides in Virginia with his wife, Kim, along with his daughters, Hannah and Emily. His son, Wil, is deceased.